The KS40 is OTA’s proprietary new-generation, low volume, high performance reciprocating compressor. The highly efficient, horizontally opposed, four cylinder compressor is designed for a low initial cost, flexibility, ease of service and low maintenance. The KS40 is tough as well. It can handle moderate amounts of coal fines, hydrocarbons, and liquids. Put OTA’s KS40 to the test! The KS40’s patented horizontally opposed heads allow the compressor to evacuate liquids during operation and standby modes. The OTA KS40 is a closed loop compressor system which prevents escape of vapors to the atmosphere during run or standby modes. The closed loop design allows for the system to be positively pressurized, thus eliminating any chance of oxygen being introduced into the system. All excess internal pressure is released back into the suction manifold to be sold. OTA’s balanced, horizontally opposed KS40 can easily be repaired without removal from the package. Due to the compressors unique design, the heads and valves are easily accessible. Furthermore, it allows for removal of individual cylinders should the need arise for ring replacement or thorough cylinder wall inspection / replacement. The KS40 was designed and built with the buyer in mind. Replacement parts are abundant and are on the shelf items of most auto parts retailers. 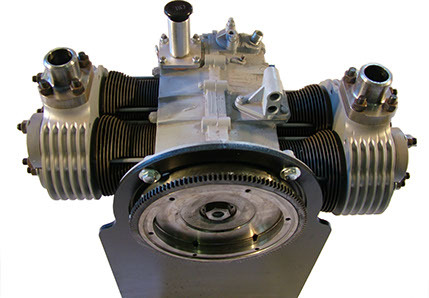 The operational components of the KS40 compressor contain no custom machined parts, thus cost of rebuilds is kept to a minimum. Due to the overall design of the KS40, liquids in the oil are kept to a bare minimum and in most cases non-existent. A 30 minute monthly preventive maintenance program is all that is required to ensure the unit continues to operate efficiently.